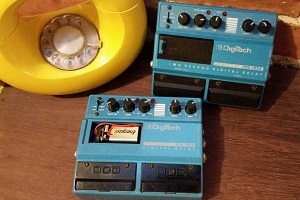 I love these Digitech PDS delays. I have played several of these to their actual death over the years. Mostly because of the violent improvisational style of my early band not through any fault of their construction. So excited to find this PDS 1000 at the Bridge Sound & Stage yardsale. It needs a little TLC but it sure sounds great and takes me right back to the visceral psychedelia of my 90’s performances. It will now reside alongside my trusty PDS 1002, used for recordings and special occasions (or of Yo La Tengo needs one). 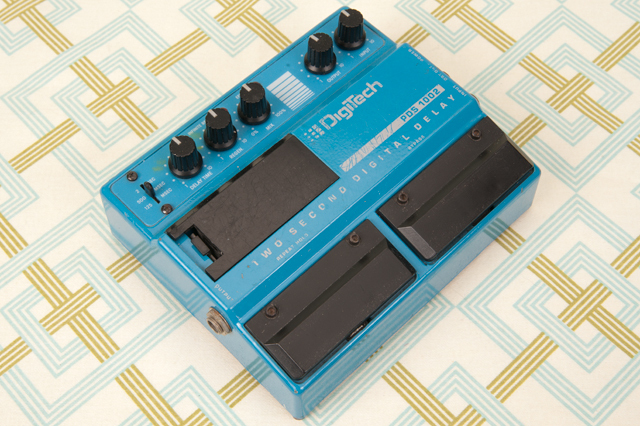 For anyone that hates on digital delay I always point them to these pedals as an example of how twisted and beautiful digital can be. While they do harbor a certain logical coldness there is an attempt at humanity like Mr. Spock, that allows for some spirited back and forth between the PDS and musician.